If you love salmon and are wondering how to make salmon cakes, read on for a simple recipe that is flavorful and healthy to boot. 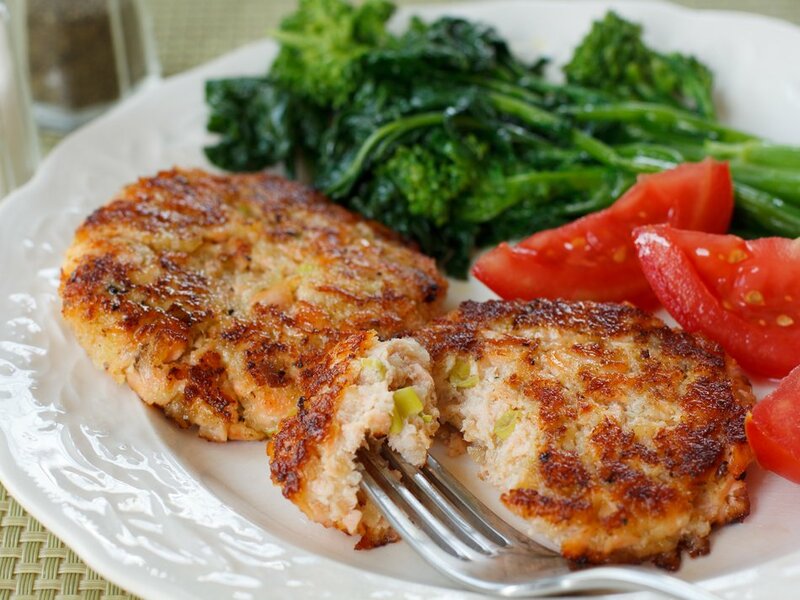 When paired with a vegetable or salad on the side, these salmon cakes make a zesty light meal. They can also be served on whole wheat buns when you feel like a burger, but want something other than beef or chicken. Once you’ve made these, share the recipe with friends and family on Facebook, Pinterest, Instagram, and Twitter. Made with cooked fresh salmon (broken up), Cabot Lowfat Greek Yogurt, Panko breadcrumbs, Dijon mustard, and a few seasonings of your choice (such as salt, black pepper, chopped capers, green onions, or fresh basil), these salmon cakes come together quickly and are a great way to include a different source of protein in your diet! For two servings, mix the cooked salmon, yogurt, breadcrumbs, mustard, and seasonings together in a medium bowl. Form into four patties and refrigerate for about 30 minutes. Heat 1 tablespoon Cabot Salted Butter in a skillet over medium heat until completely melted and very hot, but not bubbling. Add salmon cakes and cook for about 4 minutes on each side, or until nicely browned. Looking for more ways to cook with Greek Yogurt? Check out our Greek Yogurt Mashed Potatoes, which happens to make a fabulous side dish for a Thanksgiving dinner! Also be sure to check out our Greek Yogurt Substitution Guide and learn about all the great benefits this yogurt provides. 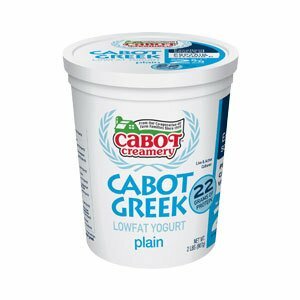 Cabot is a cooperative of over 800 farm families who continuously strive to produce the best dairy products around. If you enjoy this salmon cakes recipe, we’d really appreciate it if you could rate and review it! MIX together salmon, yogurt, breadcrumbs, mustard and seasonings in a medium bowl. FORM into four patties and refrigerate for about 30 minutes. HEAT butter in skillet over medium heat until completely melted and very hot but not bubbling. Add salmon cakes and cook for about 4 minutes on each side until nicely browned. I loved making these! Simple and delicious!